Depending on your plans for your Raspberry Pi, you may want a case with openings for IO ports, a camera socket, or maybe you just want the cheapest case possible. Here is a collection of five Raspberry Pi 3 compatible cases which are all great in their own individual way. Yes, it is possible to fit your Raspberry Pi 3 inside a case sold for Raspberry Pi 2 or B+. The ports will fit the holes, so you can connect to all plugs. However, if the case is not in clear plastic, you will only be able to see the LEDs if the case is designed for the Raspberry Pi 3. After a lot of waiting time, the Raspberry Pi foundation has finally released an official case for the Raspberry Pi. Actually their case will fit both Raspberry Pi 3, 2 and B+, which may be why they waited so long to release it. The case comes in two color variations: White/red as shown on this picture, and also in Black/grey. 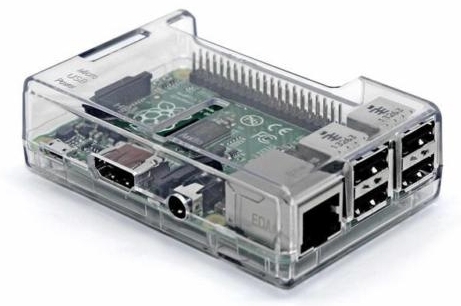 Best price for this Raspberry Pi 3 case is around $10/€9 if you are lucky. This case is very common and available in many webshops. 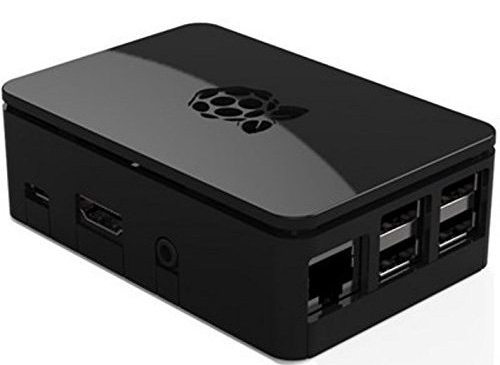 Find this Raspberry Pi 3 case through these links to Amazon and ebay.com . 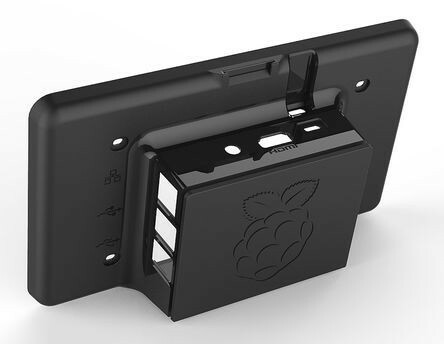 This Raspberry Pi 3 case has a practical lid which can be removed if you need to access the IO pins or camera socket, and is generally of good quality for the price. A great all-round Raspberry Pi 3 case, which is sometimes sold as a Raspberry Pi 2 case, but fits the 3 as well. Many unofficial cases exists for the Raspberry Pi 3, and one of the clever ones is this by oneninedesign, available at around $10/€9. 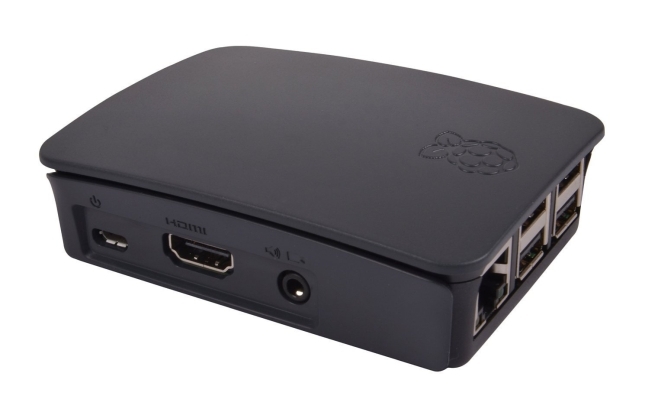 The case is made for a Raspberry Pi 2, but will work perfectly for a Raspberry Pi 3 as well. Especially the one in clear plastic, so you can still see the LEDs. This case has a narrow gap all the way around the top lid, allowing connection of external devices without removing the lid. What makes this case really great, is that you can mount a Raspberry Pi camera inside the case. In this picture, the Raspberry Pi camera has been connected to the board and mounted under the lid, looking through one of the holes in the Raspberry Pi logo. 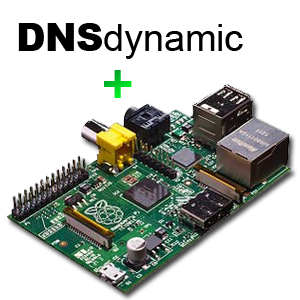 You can also mount the Raspberry Pi camera vertically, right behind the USB ports of the Raspberry Pi 3 board, but then you will not be able to put the lid on the case. This Raspberry Pi 3 case is my personal choice, and I am very satisfied with it. Actually, I bought it for my Raspberry Pi 2, but when I upgraded to the Raspberry Pi 3, I found that the case fits the Raspi 3 as well. 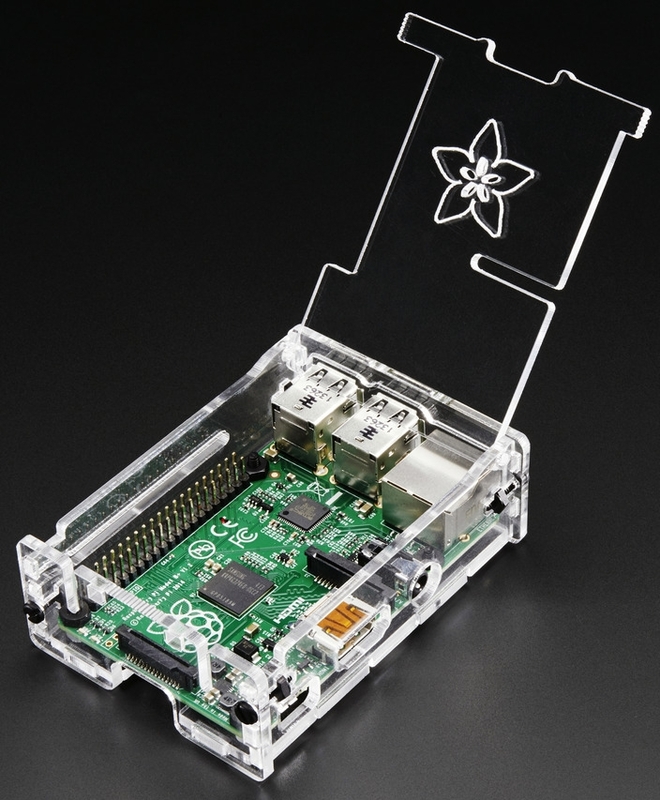 One of the first custom Raspberry Pi cases ever, was the ones cut from acrylic and delivered as a small set which you need to assemble yourself. The quality of these cases are quite good. At the $13/€11 price tag, it is not the cheapest, but definitely looks very stylish. Beware that the thickness of the acrylic plates can make it difficult to properly insert the HDMI and power plugs into your Raspberry Pi 3 when it is inside this case. Depending on the model of your cables, this otherwise nice Raspberry Pi 3 case could very easily become useless. If you are all about the practicality, and don’t care about much other than the price of your Raspberry Pi 3 case, there is definitely some very cheap ones available. If you are willing to wait for shipping from China, you can get these as low as $2/€2. You can also find a national reseller which will usually be twice this price, but still gives you a very affordable and cheap Raspberry Pi 3 case. If you want a decent delivery time, find this cheap Raspberry Pi 3 case on Amazon.com. Finally, you may have some very special requirements for your Raspberry Pi 3 project, and require a similarly specialized case. Even if you may not have access to a 3D printer and create one yourself, many specialized Raspberry Pi 3 cases are available for purchase online. Currently I am waiting for delivery of the official Raspberry Pi 7″ touchscreen, which comes ready for attachment of a Raspberry Pi on the backside of it. In order to properly shield the Raspberry Pi from dirt and short-circuiting, one could get this very neat case to put on the back of the assembly. The price for this Raspberry Pi 3 case is a bit steep at around $30/€30, but if you have already paid twice that for the 7″ Raspberry Pi touchscreen it may be somewhat affordable. If you know of any other awesome Raspberry Pi 3 cases which are not mentioned here, do not hesitate to share them with the rest of us in the comments below. Happy case-hunting! By Mikkel at July 26, 2017 .